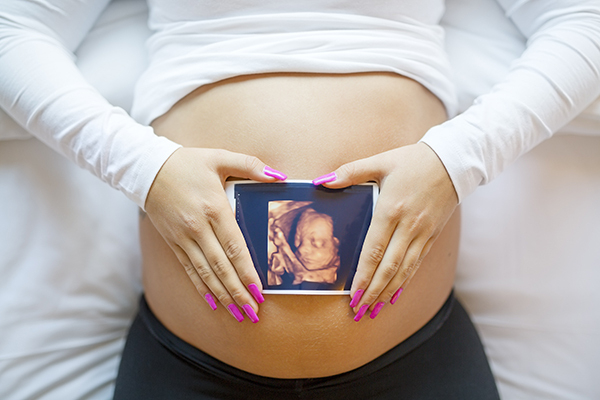 3D ultrasounds can provide highly-detailed, photo-like images of the baby inside the uterus. Women's Medical Care is a leading area provider of three-dimensional fetal ultrasounds for women in Prescott and Prescott Valley, AZ, who want to learn more about their developing babies. A 3D fetal ultrasound is an imaging technique that provides highly-detailed images of a developing baby inside the uterus. Like a standard ultrasound, the 3D technique does not use any radiation but instead uses ultrasound waves painlessly transmitted through the mother&apos;s skin to capture images of the baby. When is a 3D ultrasound used? 3D ultrasounds are typically only provided at the request of the parents to provide them with photo-quality images of the baby and are not part of a standard ultrasound sequence usually performed during pregnancy. They may be recommended in cases where certain abnormalities or developmental issues are suspected, such as neural tube defects, which include defects of the spine, spinal cord or brain. In addition to providing more details about these and other issues, the images can help parents understand the issues their baby faces so they can make important decisions before the baby arrives. How is a 3D ultrasound performed? A 3D ultrasound is performed in the same way as a standard ultrasound: The patient will be asked to lie on her back, and a warm, water-based gel will be applied to the belly area. The gel enables the ultrasound handpiece, called a transducer, to make better contact with the skin so the ultrasound waves can penetrate in a more consistent manner for better image quality. The transducer will be passed over the surface of the belly, transmitting ultrasound waves and then sending image data back to a computer where the data is converted to actual images. Once the ultrasound is complete, the images will be reviewed by the doctor and copies will be provided to the parents. Does insurance cover the cost of 3D ultrasounds? Because they are not considered a part of standard prenatal care, insurance may not cover the cost of the imaging. Before having a 3D ultrasound, check with the plan administrator to determine if the cost of the test is covered.